Before you can add OrangeAid as a control surface in Reason you need to install the Remote Codec. Download the installer file for your operating system, then double-click the package (Mac) or setup.exe (Windows) and follow the on-screen instructions. Install the Remote Codec on your computer. Connect your iPad to your Wi-Fi network. Tap the Info button to view the MIDI Connection settings. Set MIDI In and MIDI Out to Network Session 1 (make sure both are ticked). From the Dock or Finder, go to Applications > Utilities > Audio MIDI Setup. Open the MIDI Studio window, if it’s not already open (Window > Show MIDI Studio). Add a new Session if you need to (click + under My Sessions). Make sure the session is enabled (by ticking the checkbox next to it). Select your iPad in the Directory list and click Connect. The MIDI Connection status in OrangeAid should now say ‘Trying to connect’. 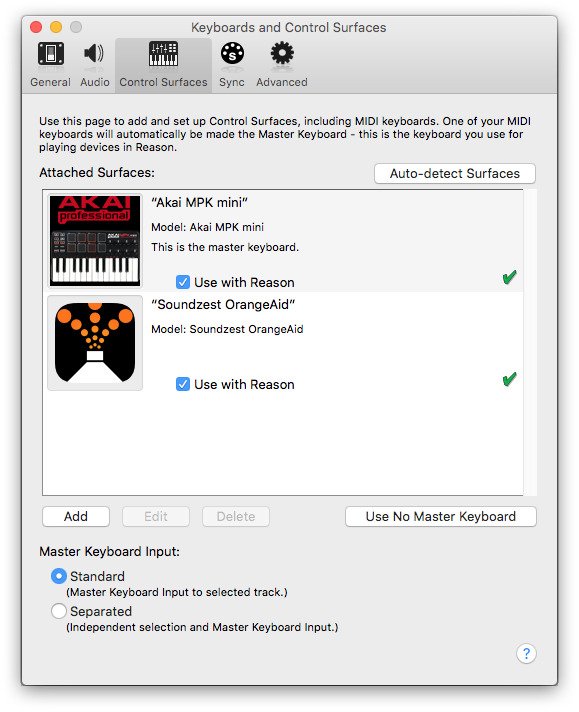 If you’ve previously added OrangeAid to Reason’s control surfaces, and the In/Out ports are set to use the MIDI Network Session, OrangeAid and Reason should now connect automatically. Open Reason’s Preferences window and click the Control Surfaces icon. Click Auto-detect Surfaces. Reason should find OrangeAid running on your iPad. You can also add it manually by clicking the Add button. Please refer to the Reason documentation for more information. Install the Remote Codec on your Mac. In OrangeAid, tap the Info button, then tap Wi-Fi & Bluetooth LE MIDI. In the Bluetooth section, tap (i) to open the configuration details. Set the Advertise MIDI Service switch to On to make your iPad discoverable. Back In Audio MIDI Setup, select your iPad from the Bluetooth MIDI device list and click Connect. 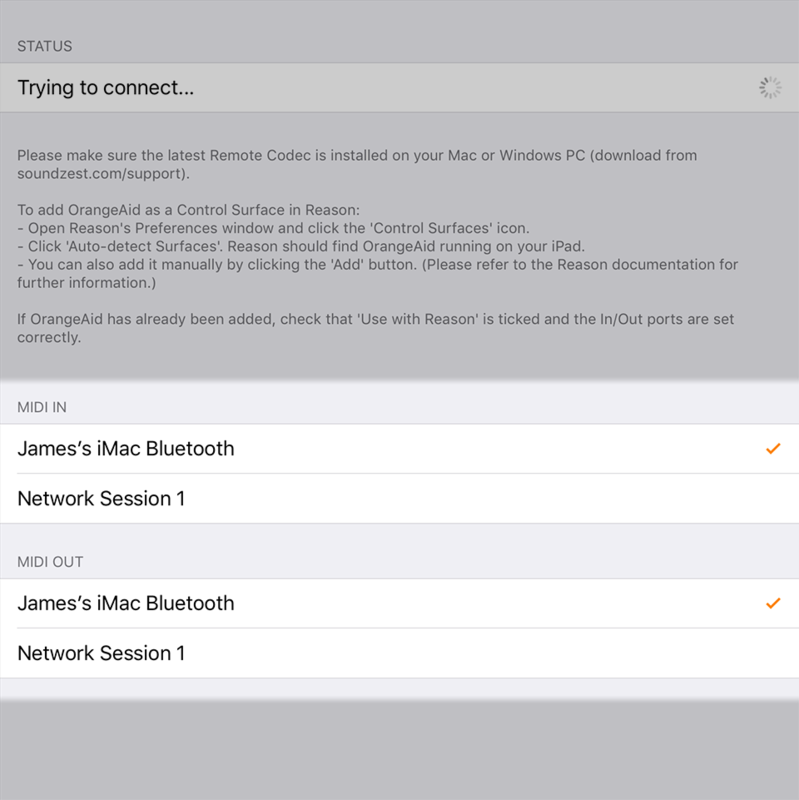 Follow the on-screen instructions on your iPad and Mac to complete the Bluetooth pairing. 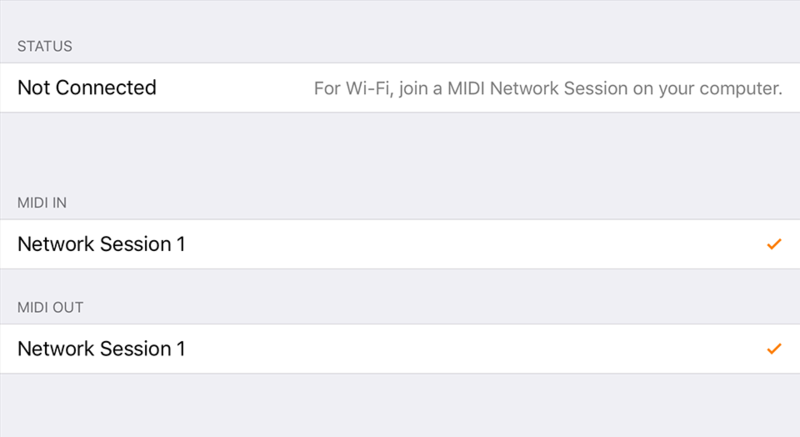 Your iPad should now show up as a MIDI device in the MIDI Studio window. Set MIDI In and MIDI Out to your Mac’s ‘Bluetooth’ ports (make sure both are ticked). The status should now say ‘Trying to connect’. Connect your computer’s MIDI interface to your Mac or Windows PC (and install any drivers or additional software required). Connect your iOS MIDI interface to your computer’s MIDI interface (unless you are using a fancy combined interface like iConnectMIDI2+). Plug your iOS MIDI interface into your iPad using the Lightning/30-pin socket. Set MIDI In and MIDI Out to your MIDI interface ports (make sure both are ticked). If you’ve previously added OrangeAid to Reason’s control surfaces, and the In/Out ports are set to use your MIDI interface, OrangeAid and Reason should now connect automatically.